The family of an Edmonds man who was brain-damaged during a police foot chase in Belltown has filed a $25 million tort claim against the King County Sheriff’s Office. 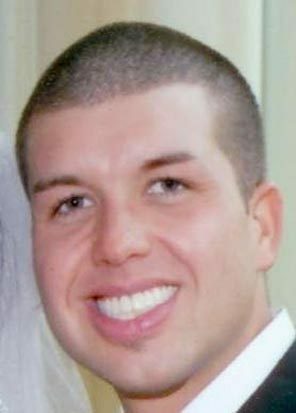 Christopher Harris, 29, was knocked into a coma at the end of a May 10, 2009 pursuit in Belltown. Harris had inexplicably run from two Metro Transit police officers who were incorrectly told that Harris was involved in a robbery at a convenience store at Second Avenue and Bell Street. He was overtaken and shoved headfirst into a wall. Harris is permanently brain-damaged and remains in a coma-like state at a long-term care facility. He can open his eyes but can’t speak, and will likely require 24-hour care for the rest of his life, said Sim Osborn, the attorney representing Harris’ family in the claim filed Tuesday. The claim alleges that the officer, Deputy Matt Paul, used excessive and unnecessary force when he shoved Harris headfirst into a concrete wall at the Seattle Cinerama Theater at Fourth Avenue and Lenora Street. The claim alleges that Harris posed no threat and was giving up as the deputy rammed into him, after a chase that lasted several blocks. A claim for damages is a precursor to a lawsuit and seeks monetary damages to pay for Harris’ medical expenses and for the emotional distress inflicted on Harris’ wife, Sarah Jorgenson. “I just want to be able to bring my husband home. I want to take care of him at home and have him with me,” Jorgenson said during a meeting with reporters. The couple has been married for two years. They met at Tumwater High School. The incident was reviewed by the Sheriff’s Office and the King County Prosecutor’s Office. Prosecutors reviewed the case and determined the deputy’s use of force was lawful. Harris had been ordered several times to stop, although it appears in a video of the incident that he was slowing down when the deputy caught him. Osborn said he thinks the Sheriff’s Office acted with “horrible judgment” in clearing the officer of criminal wrongdoing. Jorgenson said she last saw her husband on the morning of Saturday, May 9, 2009. She was headed to Olympia to spend Mother’s Day with family. Her husband planned to work a double-shift, she said. She now spends days at her husband’s bedside, talking or reading to him, or playing his favorite music. She hasn’t worked since the incident, she said. She doesn’t know why her husband traveled to Belltown after finishing work in Edmonds on the night he was injured. The couple previously lived and worked in Belltown, and had friends in the area, Osborn said. Video from a Cinerama security camera appears to show Harris discard a small object just before the officer shoves him. The Sheriff’s Office, however, didn’t know about the object until reviewing the video, and it was not taken into evidence. Paul’s actions are still under review for whether they were within the Sheriff’s Office policy. Paul is a four-year veteran. Part of the internal review will look at training provided to officers at the law enforcement academy on what to do at the end of foot pursuits, Urquhart said. But an officer’s decision on how to stop someone is influenced by many factors and unknown risks, such as whether a suspect is armed, he said. “There is an awful lot of officers saying there but for the grace of God go I. When we go hands-on, which is our job, you can have unexpected and serious results. None of us get up in the morning to go to work planning on hurting somebody. Sometimes it happens and it’s extremely unfortunate,” he said. Harris got off work from Arnie’s Restaurant in Edmonds at 10 p.m. He had a drink at the bar and joined friends for a drink at another bar. He offered a friend $60 to drive him to Belltown. Harris got out of the car and said he would return in a few minutes, but never came back. Just before 1:15 a.m., Seattle police were called to a fight at the Casablanca, a bar near the convenience store. The 911 caller noted “broken bottles.” Minutes after, a man burst into the store and rushed behind the counter. Three other men raced in after him, and all were bleeding. They shouted and threw objects from the store at each other. The store owner called police. Three witnesses saw the chase, including one who grabbed a traffic cone with the thought of intervening. Two witnesses who had just left the theater heard the officers shout, “Stop, police.” The witnesses also heard Harris reply: “I don’t have anything.” Both deputies said that they identified themselves, although Osborn disputes when they identified themselves. Deputy Paul caught up to Harris as he seemed to be “running out of steam.” Paul barreled into him, as shown on video, and shoved Harris into the theater’s wall. The deputy dragged Harris away from the wall to handcuff him and realized the severity of Harris‘ head injury. He got up and called for medics. Investigators later determined that Harris was not involved in the scuffle at the bar or the convenience store. He had no warrants and no contraband. Police found nothing but a small screwdriver in his pocket. Whatever Harris dropped in the video was not recovered. To view the complete Cinerama surveillance footage click HERE.